Just dance and party with your family, friends, and neighbors! Close out 2016 and ring in 2017 with music by DJ GIGI, appetizers, and soft-drinks included (cash bar is available for alcoholic beverages). 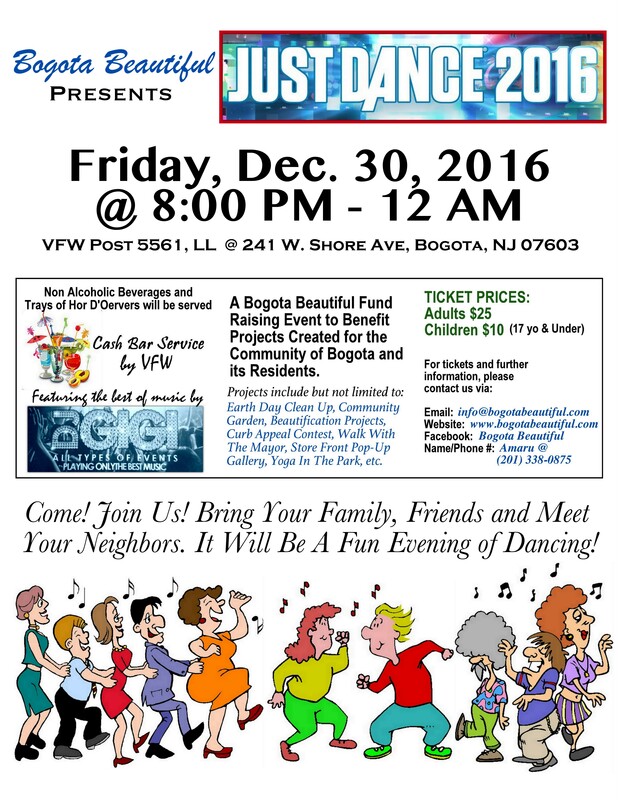 Proceeds from this event go to Bogota Beautiful, a volunteer community organization working on beautification and improvement projects, and community building events!